W. W. Norton & Company, 9780393239546, 493pp. A contemporary of Ann Beattie and Tobias Wolff, Frederick Busch was a master craftsman of the form; his subjects were single-event moments in so-called ordinary life. 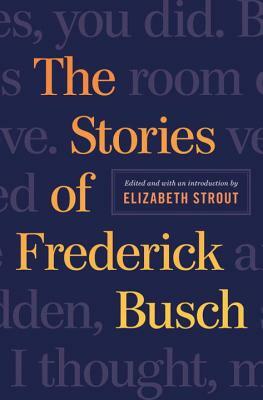 The stories in this volume, selected by Pulitzer Prize winner Elizabeth Strout, are tales of families trying to heal their wounds, save their marriages, and rescue their children. In "Ralph the Duck," a security guard struggles to hang on to his marriage. In "Name the Name," a traveling teacher attends to students outside the school, including his own son, locked in a country jail. In Busch's work, we are reminded that we have no idea what goes on behind closed doors or in the mind of another. In the words of Raymond Carver, "With astonishing felicity of detail, Busch presents us with a world where real things are at stake--and sometimes, as in the real world, everything is risked." From his first volume, Hardwater Country (1974), to his most recent, Rescue Missions (2006), this volume selects thirty stories from an "American master" (Dan Cryer, Newsday), showcasing a body of work that is sure to shape American fiction for generations to come.